Archimedes is considered to be the greatest mathematician of antiquity and one of the greatest of all time, and gave a remarkably accurate approximation of pi. An inventor, physicist, astronomer and engineer he was born in Sicily in 287 B.C. Therefore, the octagonal Vicenza Design, Archimedes, is named after this famous man. These smooth knobs are accented with two horizontal lines that add depth and enhance the contemporary design. Match these with corresponding 3 inch pulls. Available in Antique Brass, Antique Copper, Antique Gold, Antique Nickel, Gunmetal, Oil-Rubbed Bronze, Polished Gold, Polished Nickel, Polished Silver, Satin Nickel and Vintage Pewter finishes. Mounting hardware is included. 100% lead free pewter. Handcrafted in the USA. Archimedes is considered to be the greatest mathematician of antiquity and one of the greatest of all time, and gave a remarkably accurate approximation of pi. An inventor, physicist, astronomer and engineer he was born in Sicily in 287 B.C. Therefore, the octagonal Vicenza Design, Archimedes, is named after this famous man. The contemporary round leather knob is complimented with the octagonal design. Available in black or brown leather. Available in Antique Brass, Antique Copper, Oil-Rubbed Bronze, Polished gold, Polished Nickel, Polished Silver, Satin Nickel and Vintage Pewter finishes. Mounting hardware is included. 100% lead free pewter. Handcrafted in the USA. Archimedes is considered to be the greatest mathematician of antiquity and one of the greatest of all time, and gave a remarkably accurate approximation of pi. An inventor, physicist, astronomer and engineer he was born in Sicily in 287 B.C. Therefore, the smooth, double circle, nail head design fits well into the Vicenza Designs' Archimedes line of fine cabinet jewelry. Leather pulls are accented with your choice of two-tone pewter finishes. 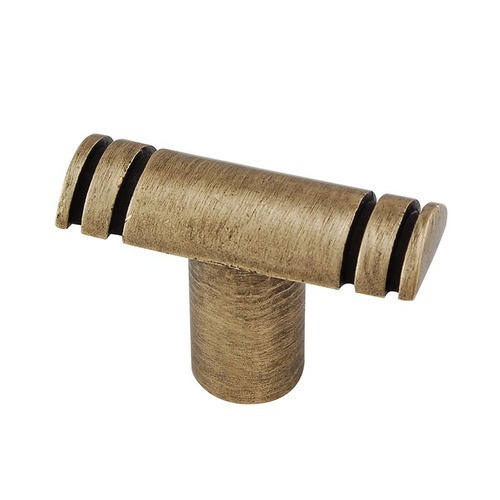 Please note non-plated K1159 knobs (AN, AS, PS, SN, VP) come with mini-brass screws. Plated version of the K1159 knobs (AB, AC AG, PN, OB, PG) have the mini-brass screws plated, in place so their color match. Archimedes is considered to be the greatest mathematician of antiquity and one of the greatest of all time, and gave a remarkably accurate approximation of pi. An inventor, physicist, astronomer and engineer he was born in Sicily in 287 B.C. Therefore, the smooth, double circle, nail head design fits well into the Vicenza Designs' Archimedes line of fine cabinet jewelry. Round leather knobs are accented with your choice of two-tone pewter finishes. Mounting hardware is included. Please note non-plated K1276 knobs (AN, AS, PS, SN, VP) come with mini-brass screws. Plated version of the K1276 knobs (AB, AC AG, PN, OB, PG) have the mini-brass screws plated, in place so their color match. Archimedes is considered to be the greatest mathematician of antiquity and one of the greatest of all time, and gave a remarkably accurate approximation of pi. An inventor, physicist, astronomer and engineer he was born in Sicily in 287 B.C. Therefore, the smooth, double circle, nail head design fits well into the Vicenza Designs' Archimedes line of fine cabinet jewelry. Create your own two tone color combination. Mounting hardware is included. Please note non-plated K1032 knob "insert" (AN, AS, PS, SN, VP) come with mini-brass screws. Plated version of the K1032 knob "insert" (AB, AC AG, PN, OB, PG) have the mini-brass screws plated, in place so their color match.